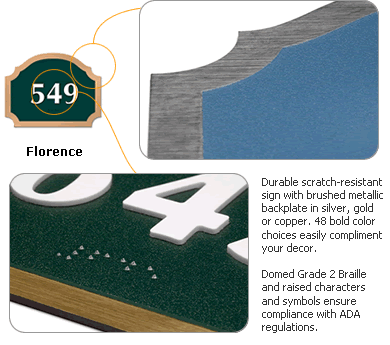 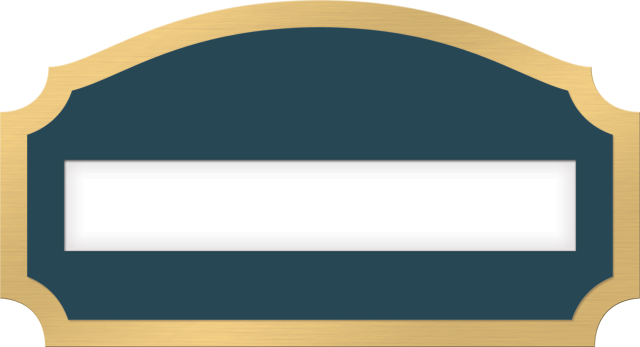 Our Florence Sign Series is simple but decorative in design and features a back plate available in brushed silver, gold, and copper. 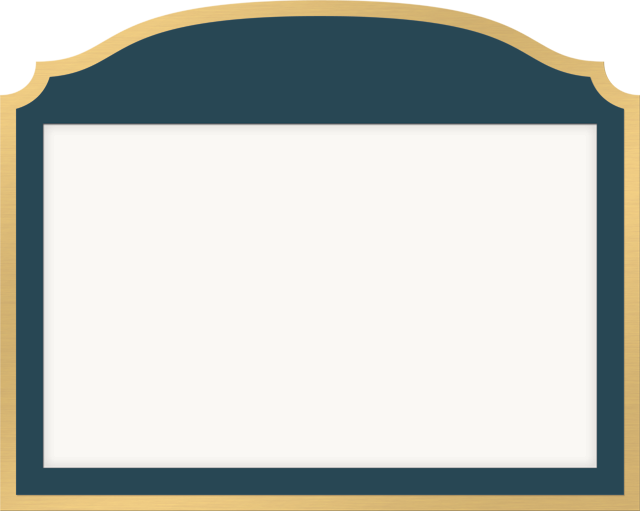 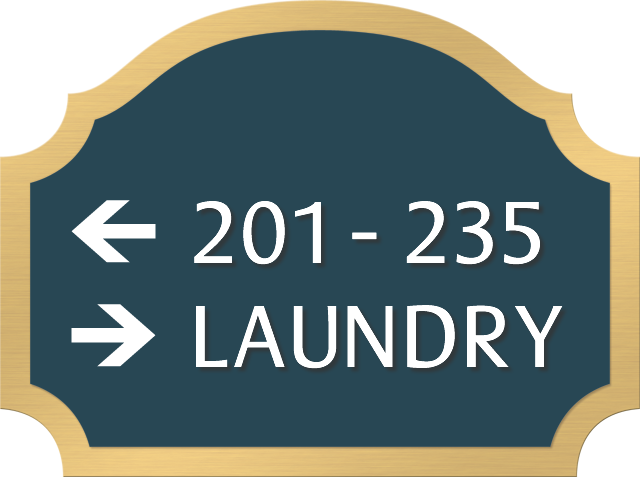 Its classic lines and solid colors give it a warm and personal character that is great for hotels, bed and breakfasts, and other hospitality establishments. 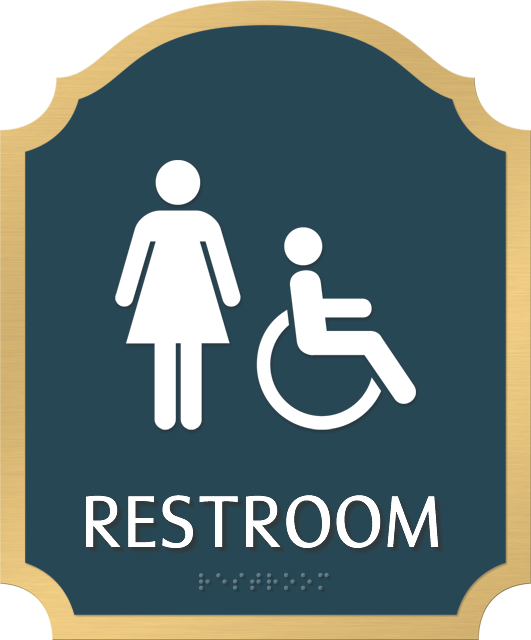 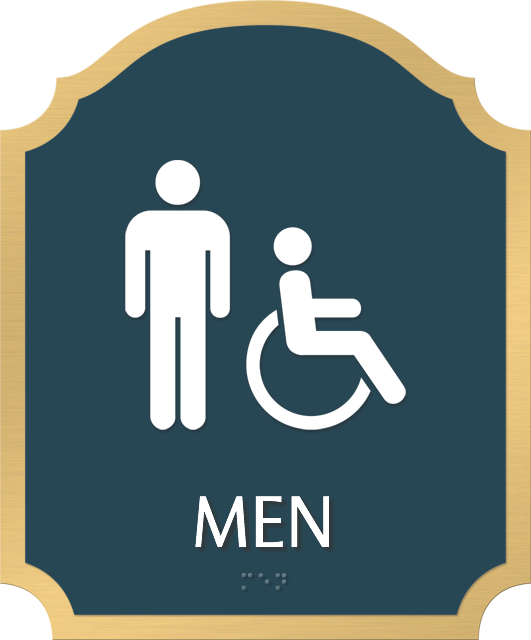 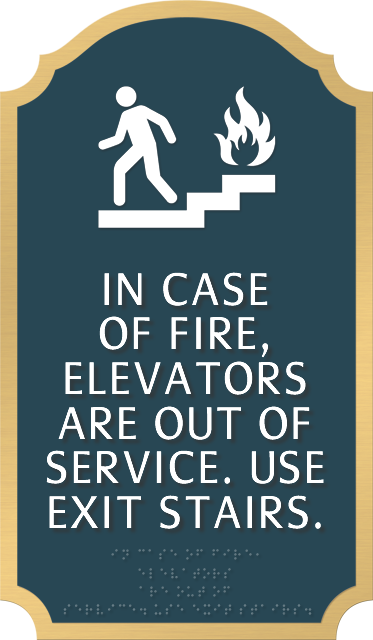 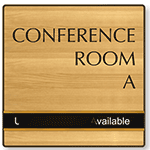 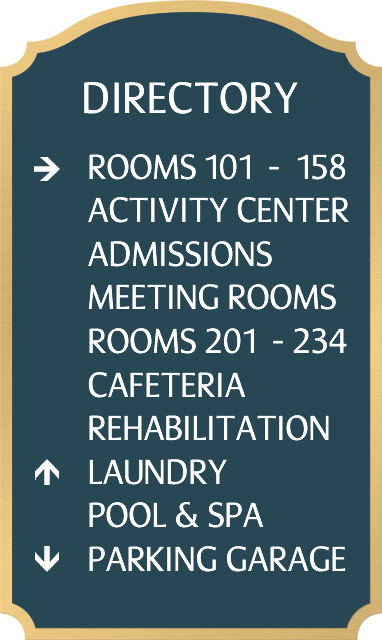 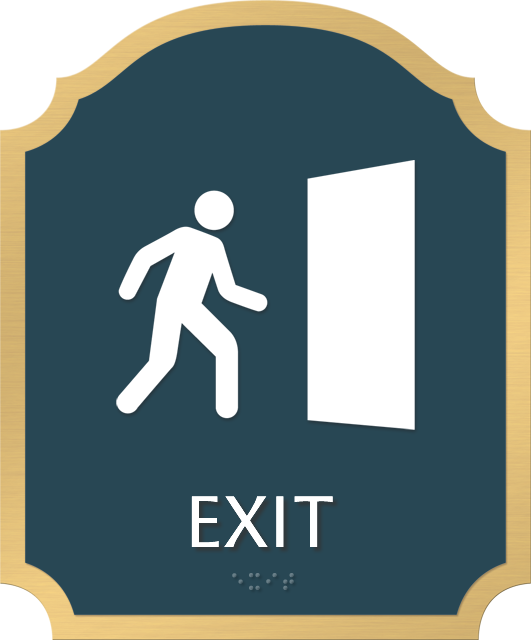 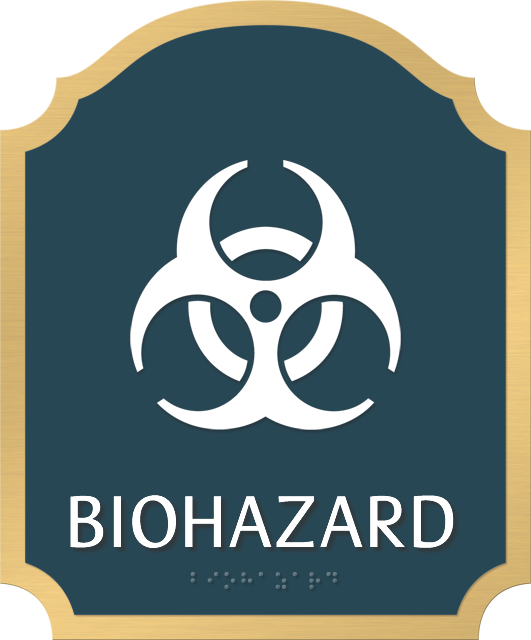 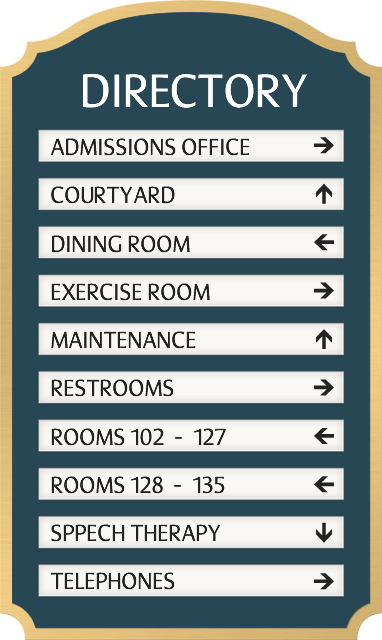 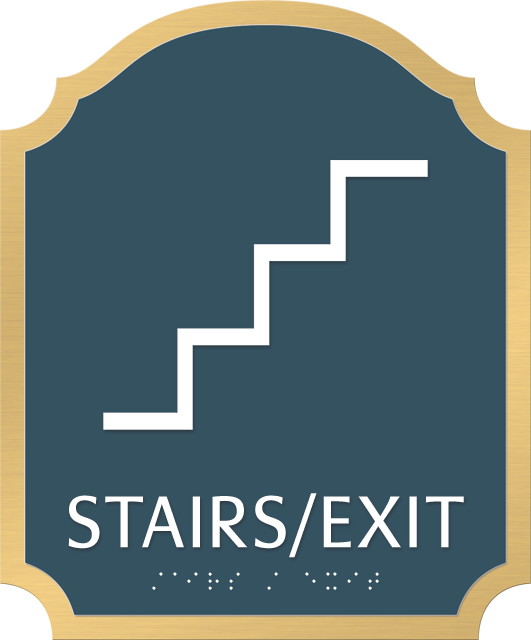 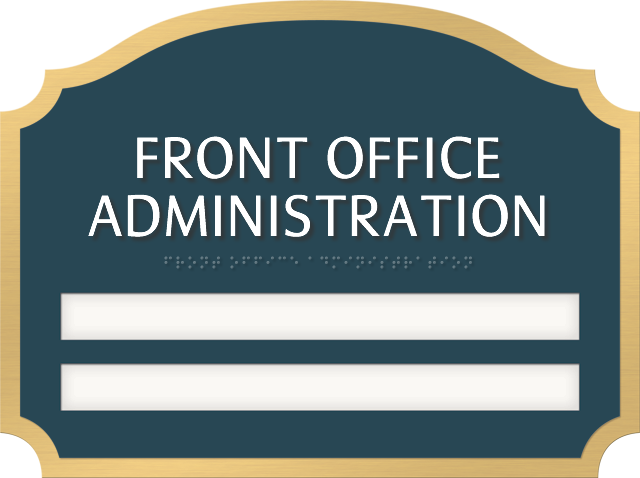 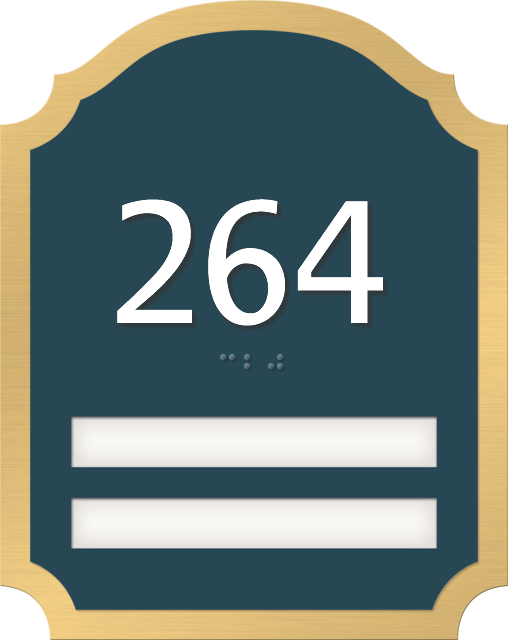 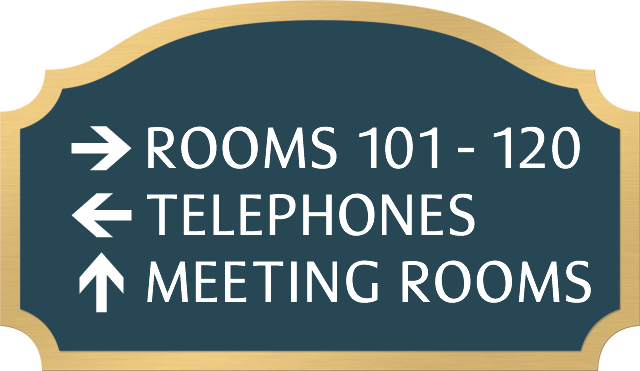 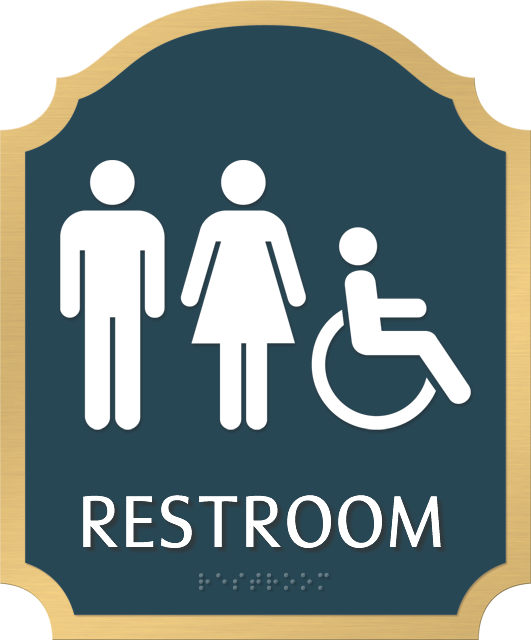 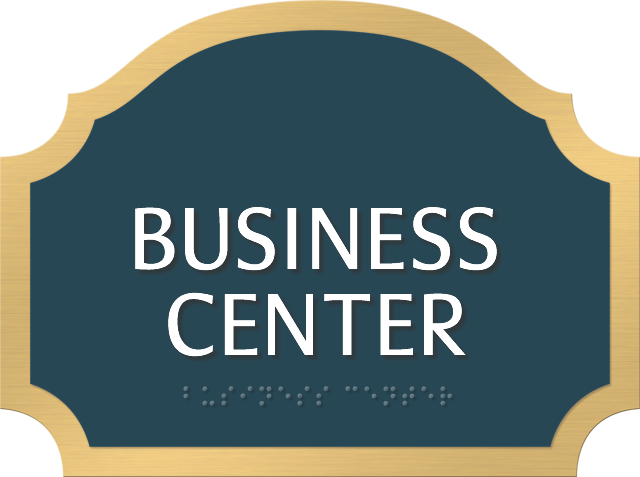 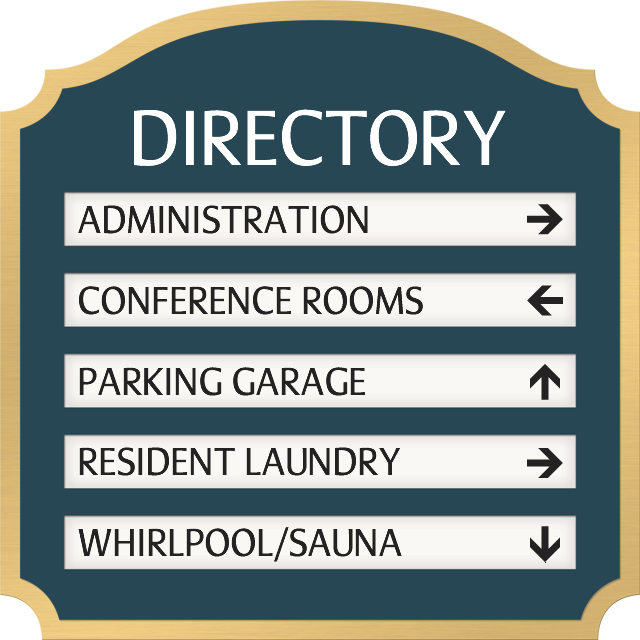 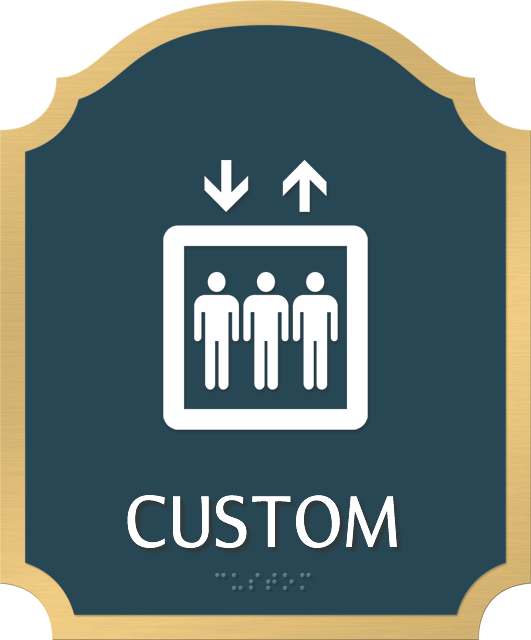 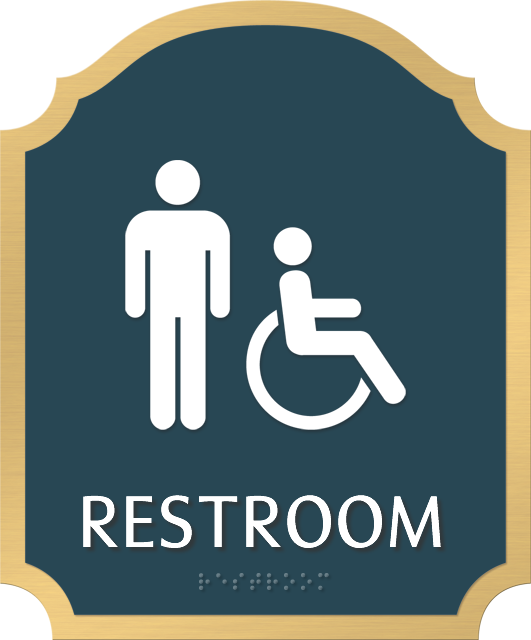 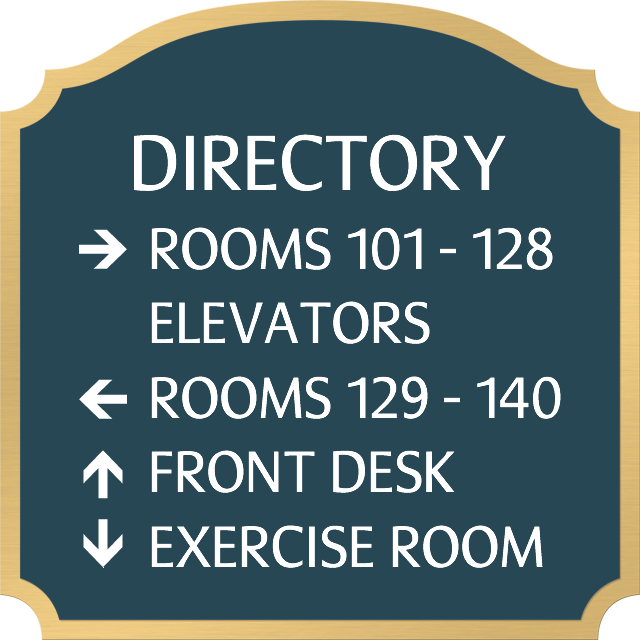 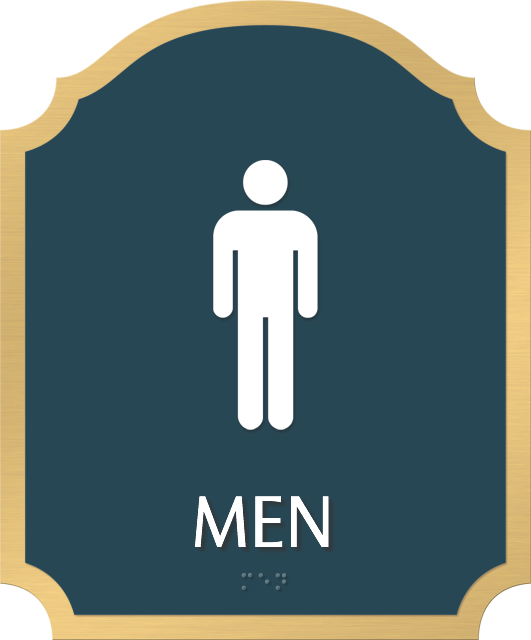 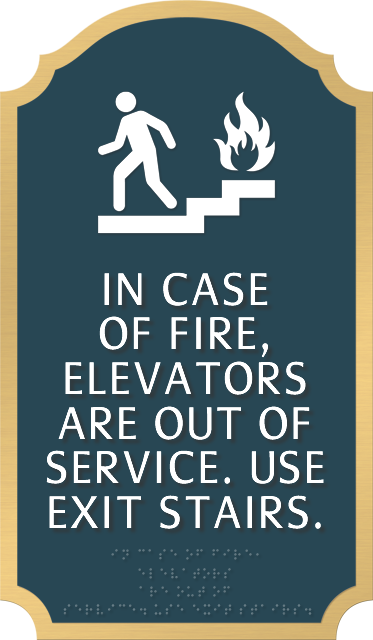 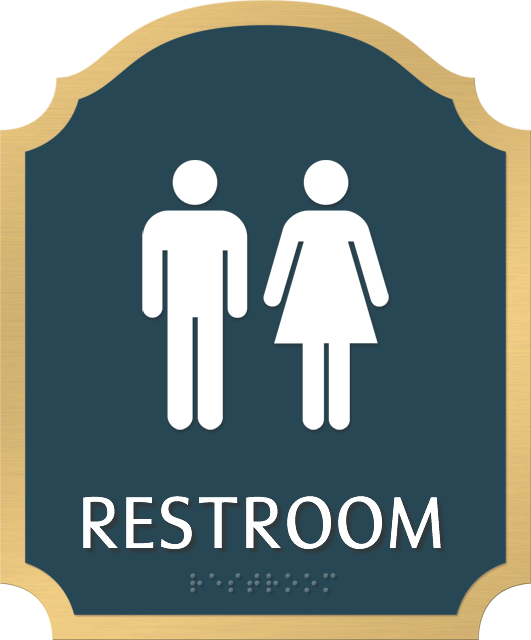 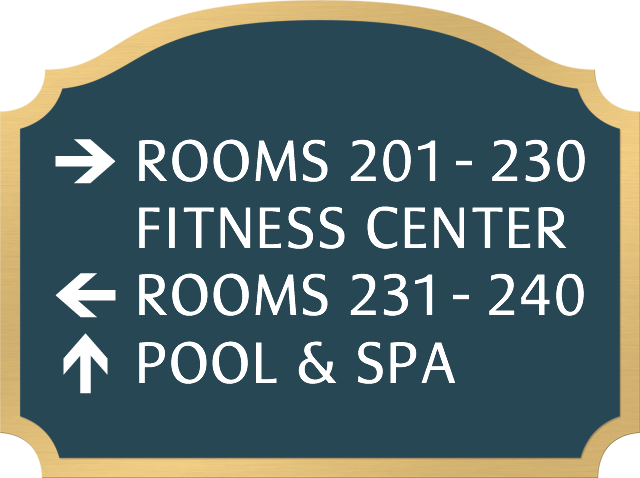 This complete sign system will help identify rooms and directions and obey regulations and instructions. 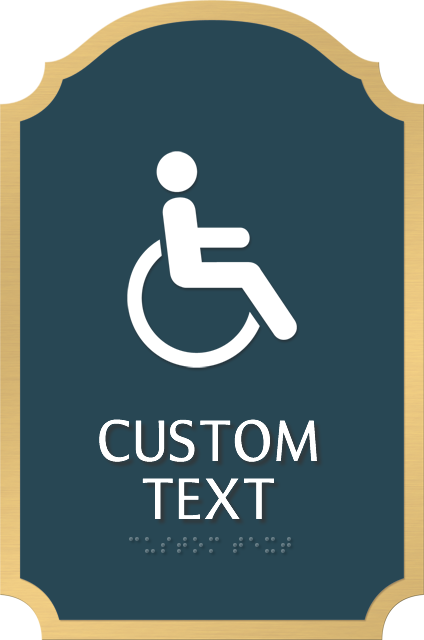 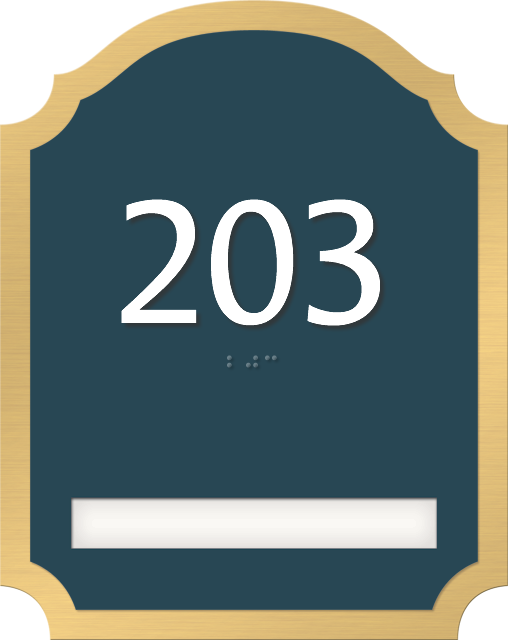 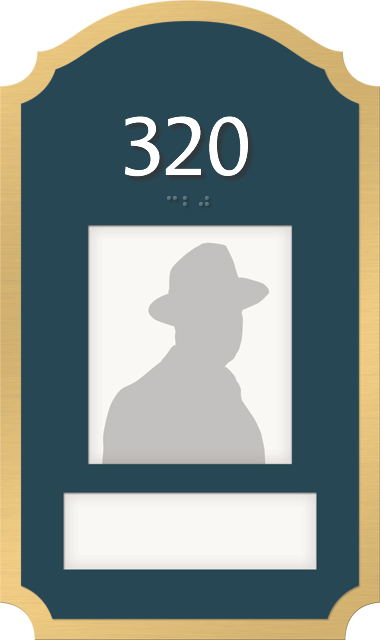 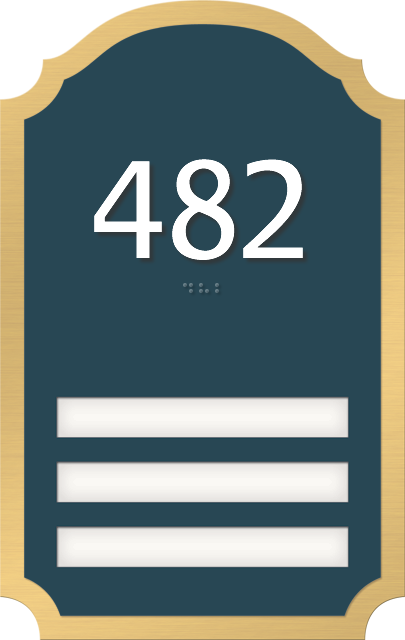 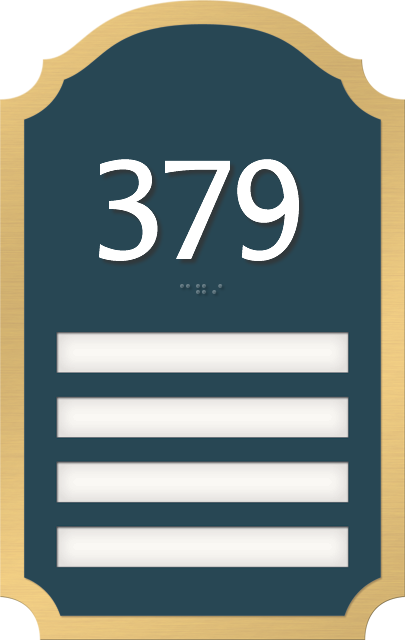 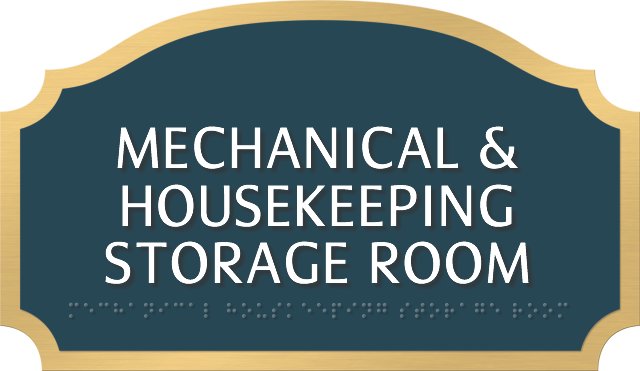 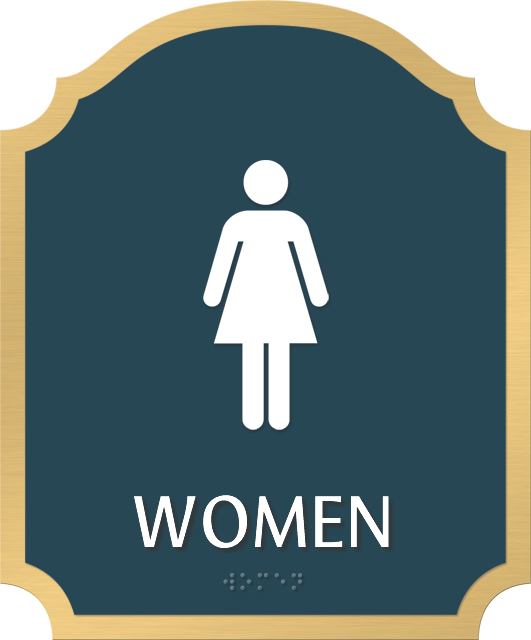 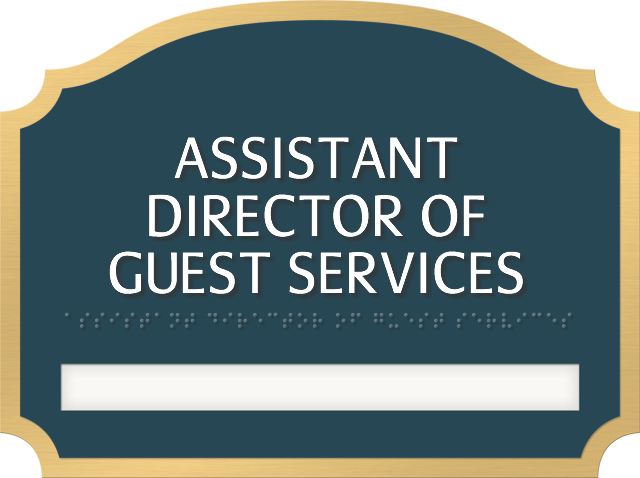 • Raised white characters and Grade II Braille for permanent room signs comply with the ADA (The Americans with Disability Act). 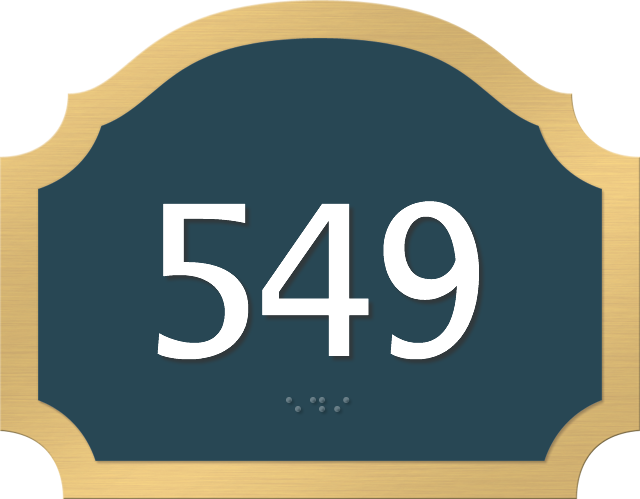 • Available in 52 sign colors. 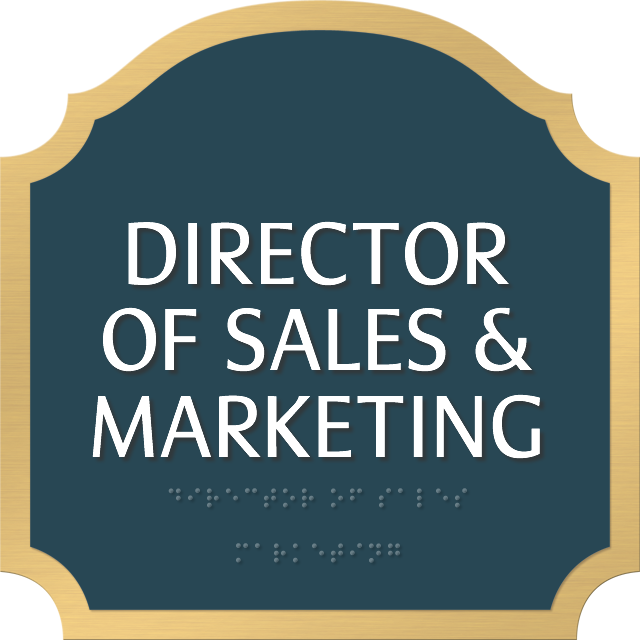 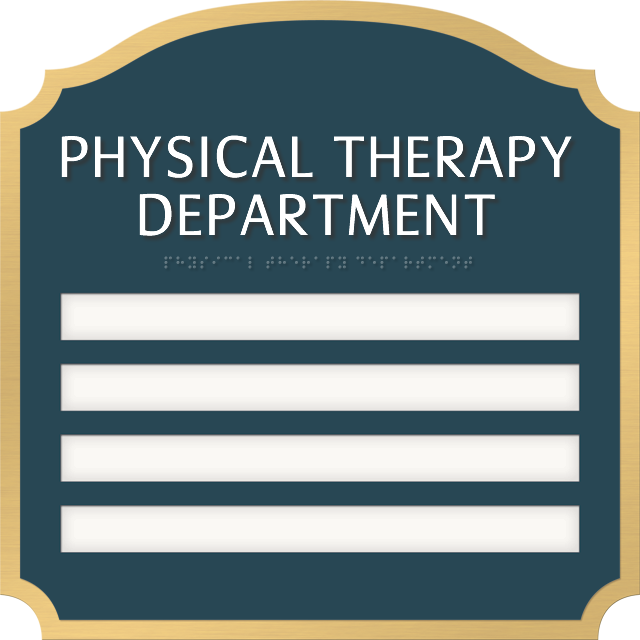 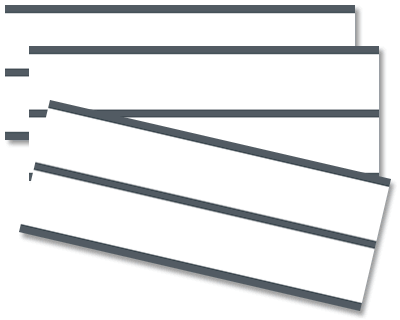 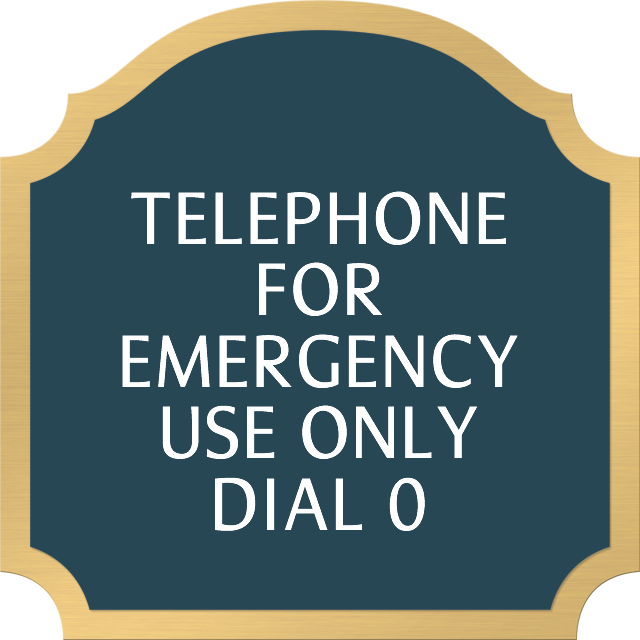 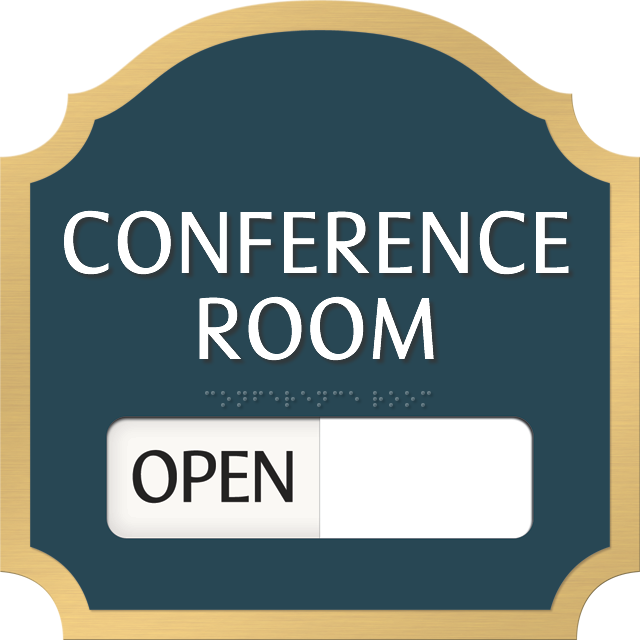 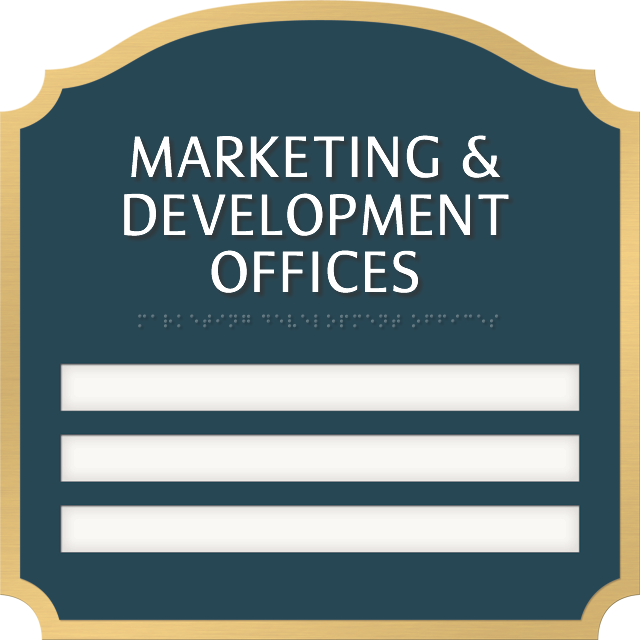 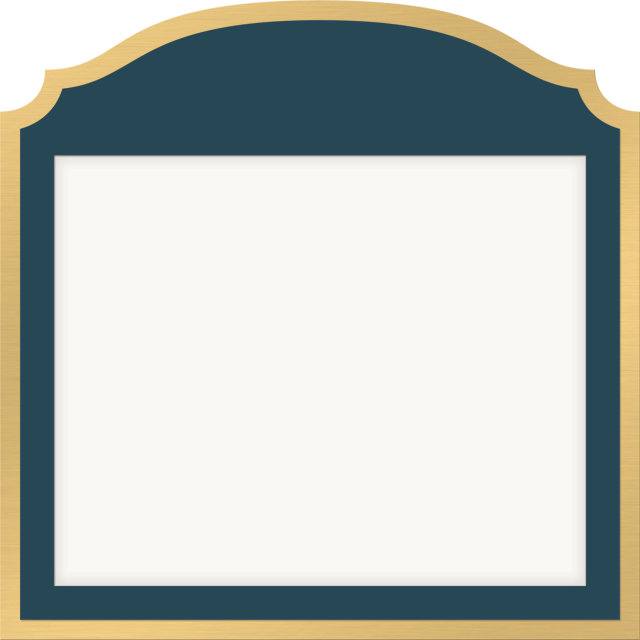 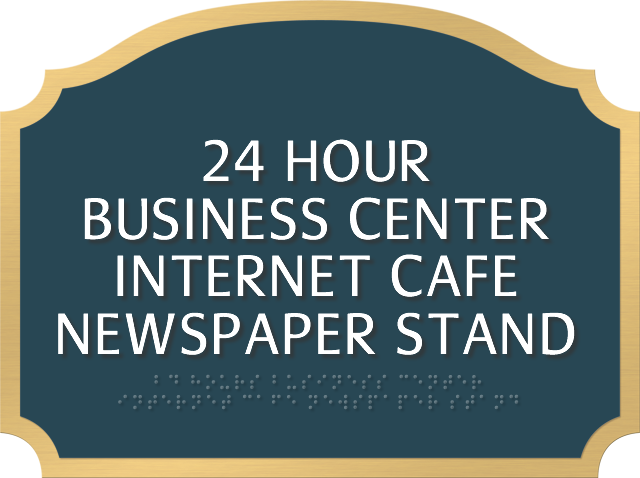 • Sign front piece is made out of durable, scratch-resistant plastic.